We must thank him for having the courage to bring up his children as he did, and allowing them to become the towering figures that they did. He was much more than that as well, though, so let’s take a look at three late February events that bookended his remarkable career within the Church of England. 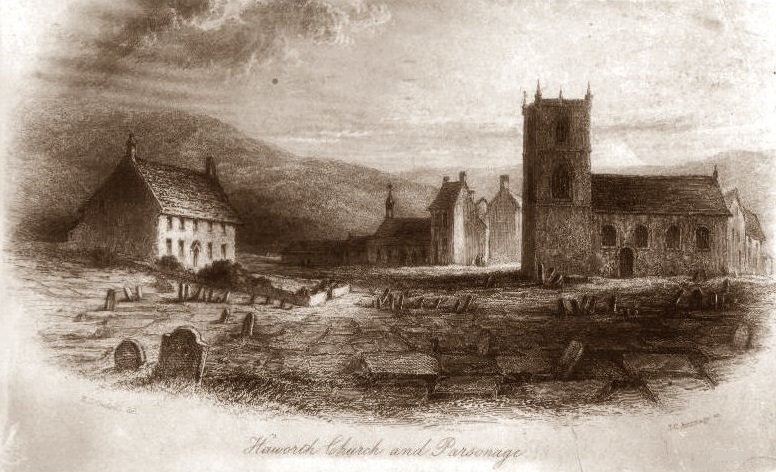 On the 25th of February 1820, little more than a month after Anne Brontë’s birth, Patrick Brontë was officially granted the perpetual curacy of Haworth, leaving behind his previous parish of Thornton. He was entering a parish made famous by a previous incumbent William Grimshaw, but also one where the villagers could be vociferous, and who weren’t afraid to stand up to their priest. Redhead managed to flee, but could obviously no longer continue in his post. 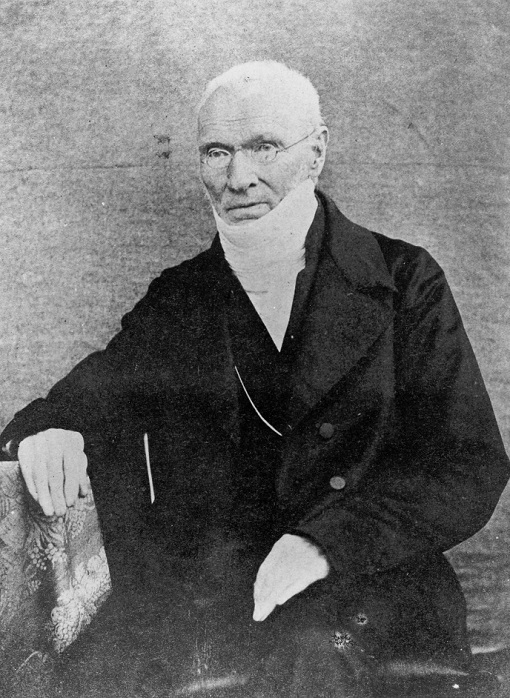 A compromise was reached in which the Haworth elders would nominate a curate who would then be rubber stamped by Heap, and it was this compromise that saw Patrick appointed to the post after all in February 1820. Patrick Brontë was entering a parish where the congregation had tried to murder the previous incumbent, how long would he endure? The answer to that is testimony to his resilience, his courage and the good standing he rapidly achieved among the people of Haworth. 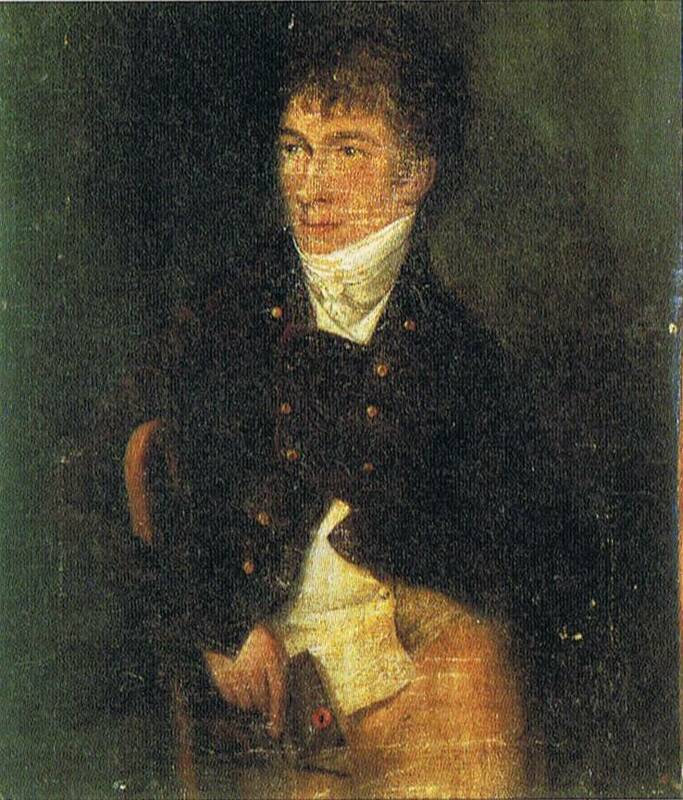 The next event from this week occurred on the 22nd February 1837, when we find, once again via a report in the Leeds Intelligencer, that Patrick is chairing a meeting to protest against the introduction of the 1834 Poor Law Reform Act. 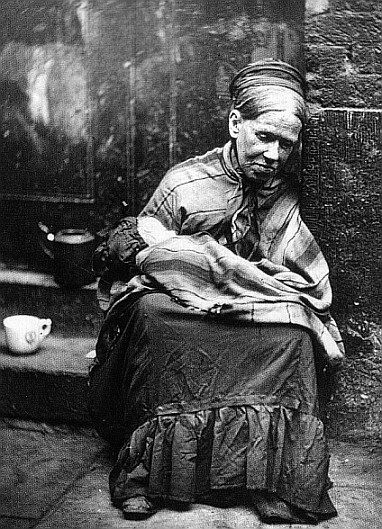 This cruel act introduced workhouses in which to house those who needed benefits to survive, but the conditions inside were appalling, with husbands separated from wives, mothers from children. 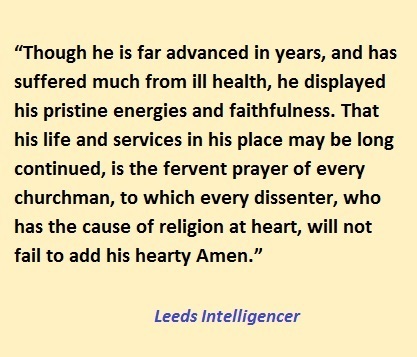 It is worth noting of course that whilst the reporter states that Reverend Brontë is ‘far advanced in years’, he would serve the parish for another 24 years after this date, despite the ill health alluded to (primarily his increasing blindness). The meeting was held in the school rooms that Patrick himself had had built, next to the church and the parsonage he called home. It was another of the many socially aware acts carried out in Haworth by Patrick Brontë; perhaps the greatest of all was his work in securing improvements to the water supply of Haworth. It was largely thanks to Haworth that a reservoir was built on the moors near Haworth, lavatories were installed, and that sanitation in general was greatly improved. There can be no doubts that Patrick’s tireless efforts in this cause saved thousands of lives that would otherwise have been lost to diseases such as cholera. This last week in February also marked an end to one of Patrick Brontë’s duties as parish priest, for on this day, the 24th of February, in 1857 he carried out his final marriage service. Now approaching his 80th birthday he turned for the final time to a bride and groom and asked if they would take each other in sickness and in health. Patrick had certainly served Haworth in sickness and in health, and so it is fitting that these words he would have said hundreds upon hundreds of times throughout his decades in the parish form the title of the new exhibition in his memory at the Brontë Parsonage Museum – I look forward to visiting it next month. They are still beloved in all neighbourhoods. It was to be the first and last Valentine’s Day as a married woman for Charlotte, she was to find, as Anne and William Weightman had before her, that tragedy often followed close on love’s heels in that Haworth parsonage. As she blotted the letter she could not have known this, nor that death was already waiting in those familiar rooms, for just three days later, on this day in 1855, the long standing Brontë servant and friend Tabby Aykroyd died. Tabitha Aykroyd, always known by the children as Tabby, had taken up her role as servant more than three decades earlier in late 1824, as a cost-cutting replacement for the sisters Nancy and Sarah Garrs. She would fulfil the roles of cook, cleaner, and crucially storyteller, from that day on. Little is known of her life before she entered the Haworth Parsonage, except that she was unmarried and had no children but two sisters Rose and Susanna. She was born in approximately 1771, putting her in her early fifties when she moved in with the Brontës. For many years she was the only live in servant, although in later years the younger servant Martha Brown, daughter of the sexton John, also moved in. William went to the Parsonage and was greeted with a great cackle of laughter from the Brontë children, delighted at how successful their trick had been. This shows that Tabby was a central part of the Brontë children’s development and play time, and it also reveals the Pennine Yorkshire dialect that she and many others in the Haworth area spoke, and which Emily Brontë later put into the mouth of Wuthering Heights’ Joseph, much to the confusion of non-Yorkshire based readers ever since. 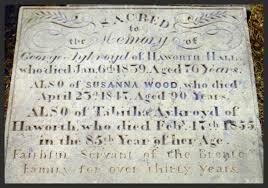 In December 1836, Tabby suffered a terrible accident which could have changed the course of her life. Haworth’s steep main street can be treacherous in winter, then and now, and Tabby slipped on ice, badly breaking her leg and leaving her with a walking impediment for the rest of her life. Aunt Branwell recommended that Tabby should be let go, not merely because she could no longer perform all her duties but so that Tabby could be looked after by her sister. The Brontë siblings, however, were having none of it. They insisted that they would look after her just as she had looked after them when they were young, and they even refused to eat until the decision was reversed, and under these circumstances Tabby was allowed to stay. It is clear that to the Brontë siblings, Tabby was an essential part of the family. ‘Tabby said on my putting a pen into her face, “Ya pitter pottering there instead of pilling a potate”’. This letter shows both sides of life at the Parsonage. Mrs. Hewitt was a mutual friend who had suffered morning sickness when pregnant, so this line and a later letter in response to Mrs. Hewitt’s reply, is proof that Charlotte too was pregnant. And then we have a simple brief tribute to Tabby Akyroyd who had taken her final breath four days earlier. Charlotte was herself, although she didn’t know it, rapidly approaching her final day, she would have been too weak to hold the hand of the woman who had loved her so much for more than thirty years, and who had been loved back in return. Nevertheless, Tabby doubtless could feel the love around her as she left this world, and she still deserves and receives our love today. 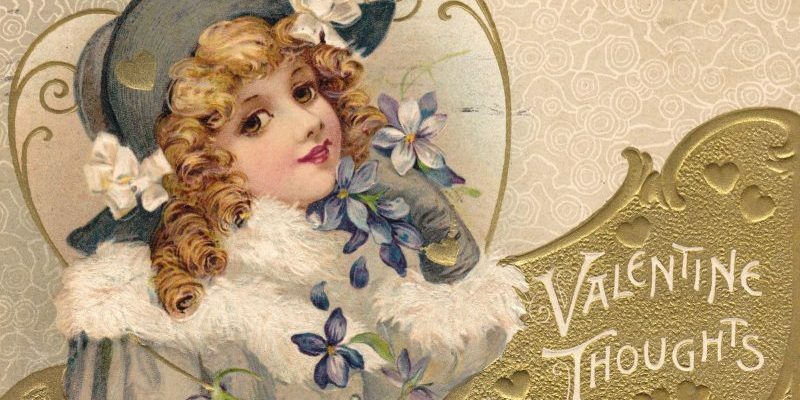 What Was In The Brontë Valentine’s Day Cards? 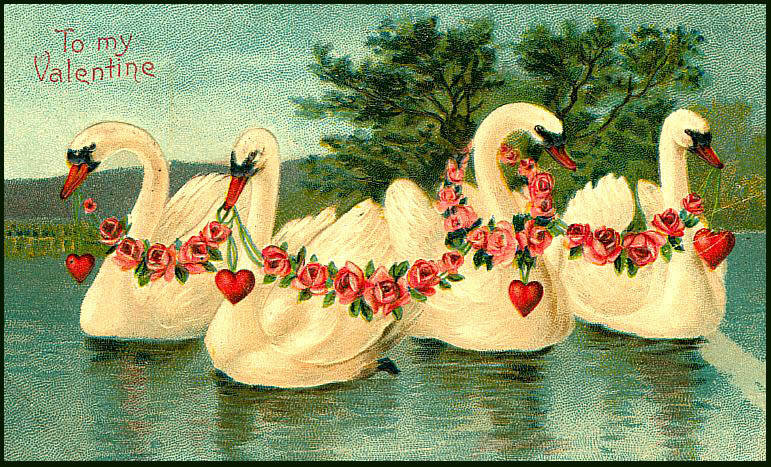 If only we knew the content of the Valentine’s Day cards that William Weightman sent to the Brontë sisters on this day in 1840! 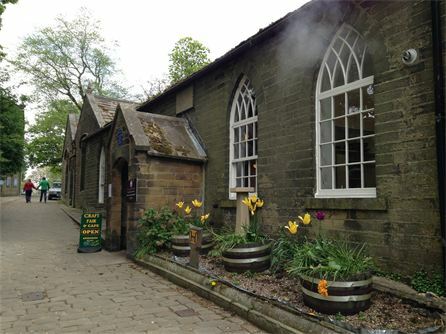 What we do know for sure is that Weightman had arrived in Haworth the previous year to serve as Assistant Curate to Reverend Patrick Brontë, and he quickly charmed all in the village, including the three young women resident in the parsonage: Charlotte, Emily and Anne Brontë. 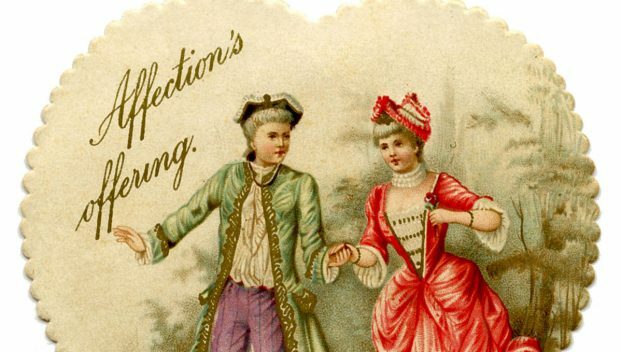 Weightman was astonished to find that none of the sisters (then aged between 20 and 23) had ever received a Valentine’s card and so he decided to put that right. He sent four cards, because faithful friend Ellen Nussey was also in the parsonage at the time, and he walked from Haworth to Bradford to post them so the postmark wouldn’t give the sender’s identity away too easily. 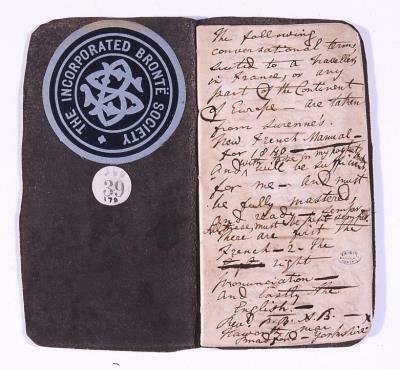 From a letter from Charlotte Brontë we also know the title of three of the poems. ‘Fair Ellen, Fair Ellen’ is obviously for Ellen Nussey. ‘Soul Divine’, I conjecture, is surely fitting for Emily Brontë who would later write ‘No Coward Soul Is Mine.’ ‘Away Fond Love’ must be for Anne Brontë, as she was at that moment trying to secure a new position as a governess that would take her away from Haworth – and that two months later would see her begin a new post at Thorp Green Hall. I believe William and Anne were already smitten by each other, and the sending of the cards allowed him to express his true feelings for Anne without rousing suspicion. And virtuous mind’s more praised by me. From failures which with time ensue. All other fair, like flowers, untimely fade. The weight of your immortal shield. Place on your head thy helmet bright. Ready your sword against the fight. With silken banners breaks the air. To conquer this resolvèd heart. Of snow upon those oft trod moors. And by a word live on – or swoon to death. Well that’s my light hearted take on the Brontë Valentine’s cards, but in all seriousness we can thank Weightman for bringing some joy into the sister’s lives. Whether you have a dozen cards and two dozen red roses on your mantelpiece, or look upon a card from the Dog’s Trust dog you sponsor, have a good day and remember – you’re never completely alone when you have a good book or poem within reach. 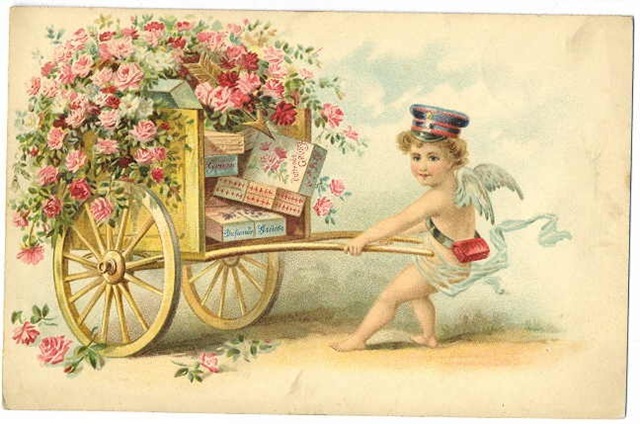 Posted on 14th February 2019 14th February 2019 5 Comments on What Was In The Brontë Valentine’s Day Cards? 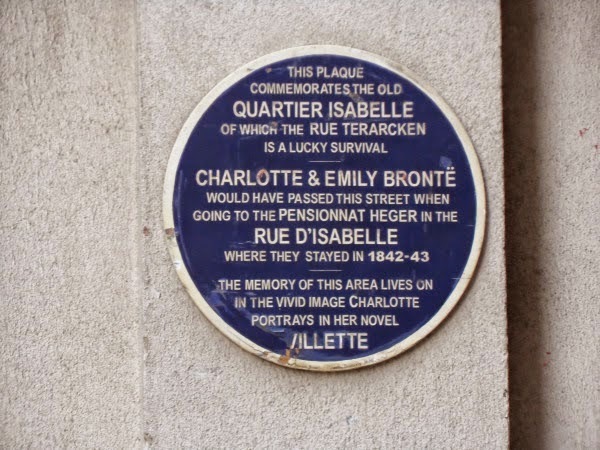 This week 177 years ago saw the commencement of a major Brontë journey in a physical and a metaphorical sense, as on 8th February 1842 Charlotte Brontë and Emily Brontë embarked upon a voyage from Haworth to Brussels – but Anne Brontë was left behind. 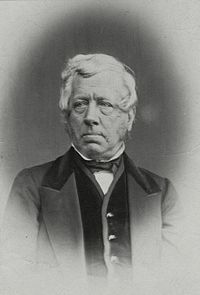 It was a journey, travelling first to London as they did, of around 430 miles – a major undertaking in the first half of the nineteenth century, although it’s easy to forget that this journey was still shorter than the one from Penzance to Haworth that their mother and Aunt Branwell had taken. At the time Anne wrote this she was in her second year of employment with the Robinson family of Thorp Green Hall, and Charlotte was in Rawdon serving as governess to the White family; a year earlier Emily had left her short held, but later influential, position as a teacher in Law Hill near Halifax. It seemed obvious to all three sisters that their only hope of making a living for themselves was as governesses or teachers, but they all, to a lesser or greater extent, found the demands of working in these roles difficult. It seemed obvious that they would fare better if they set up their own school and worked for each other, and by the middle of 1841 plans had begun to be made in earnest. 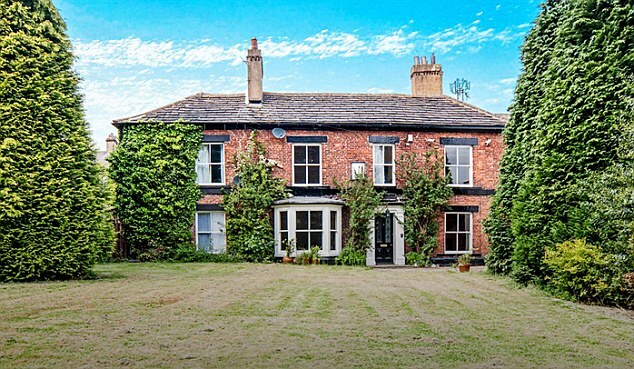 Heald’s House, Dewsbury could have become the Bronte school – and it’s on the market today! This was a masterful letter, but then again Charlotte Brontë was a consummate letter writer. Charlotte had been receiving letters from her great friends Mary and Martha Taylor who were already at school in Brussels, and her lust for travel, exploration and adventure, first evident in her juvenilia, was aflame once more. She needed a significant sum to turn this dream into a reality, but she also knew that her aunt had access to that kind of money. The letter is also evidence of what Ellen Nussey had earlier reported, that Anne Brontë was her aunt’s favourite, and so Charlotte knew that she would have to explain why it was her aim to take Emily with her rather than Anne. On the face of it, it might seem a strange choice – Emily’s time as a pupil at Roe Head had been a complete disaster, as she became so homesick that she was sent home within three months in fear of her life. It would not be so easy for her to return home from Brussels if the same problems recurred. Charlotte knew however that Emily had become a different woman in the intervening seven years, and she also knew that she herself would be in need of Emily’s strength, fortitude and dependability in Belgium. Some have seen the decision as a snub to Anne, but in fact I believe Charlotte was being pragmatic and sensible. Anne had already received a longer education than either of her sisters, and she was an accomplished scholar who already knew the languages they wished to learn. Emily, on the other hand, whilst possessing a brilliant mind still had little formal education, and this could make it harder to attract pupils to a school at which she was to teach. We can be sure that Aunt Branwell, and the friends and servants Tabby and Martha waved them au revoir, but Anne was only there in her mind. She was now entering a sad and lonely period, where the daily grind of a governess became ever more of a drudge. Doubtless she received letters from Brussels that must have seemed endlessly exciting when compared to the life she was compelled to live. 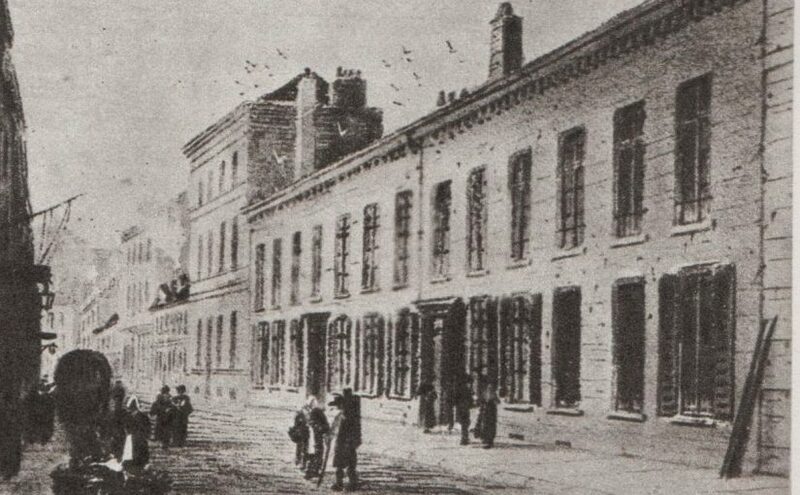 We will turn to what happened next in another post – but Charlotte finally returned from Brussels in January 1844 clutching a certificate from the Pensionnat Heger (that’s it at the top of this post) and a terrible burning unrequited love in her heart. It would haunt her for the rest of her life, it must find release – it did find release in the only way Charlotte knew how, in her writing. Thus it was that the pain of Brussels drove Charlotte on to write more than anything else, and this is why that February morning was the start of a journey that would change everything for Emily and Anne too, and for readers across the globe until the end of time. We all love Anne, Charlotte and Emily Brontë, and thankfully there are many good, or at least good intentioned, biographies that expand our knowledge of them. There are many others, however, who had a huge impact on the Brontë sisters about whom relatively little is known. That’s why we should always remember the influence of the servants who were around the children day by day, such as the Garrs sisters. 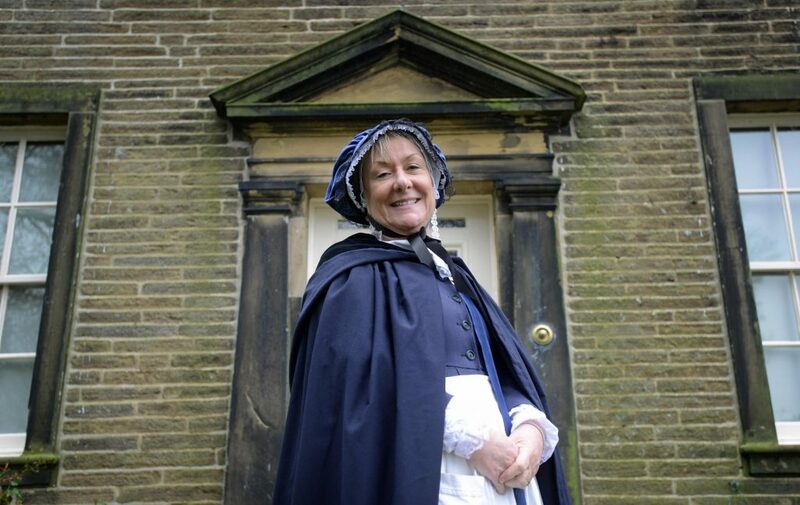 Nancy Garrs joined the Brontë family in July 1816, at the age of 12 or 13, arriving at Thornton Parsonage to help the day to day running of the building which had just seen the addition of baby Charlotte. By August 1818 two further Brontë children, Patrick Branwell and Emily Jane, had arrived and a further nurse was taken on. Nancy must have impressed in her role, because her sister Sarah, aged 12 was chosen. Both remained in the service of the Brontë family until 1824. That much is known, but little else. However, many mists are clearing and once hidden figures are coming again into the light. Trawling through the newspaper archives recently, I found many articles about, and interviews with, Nancy. 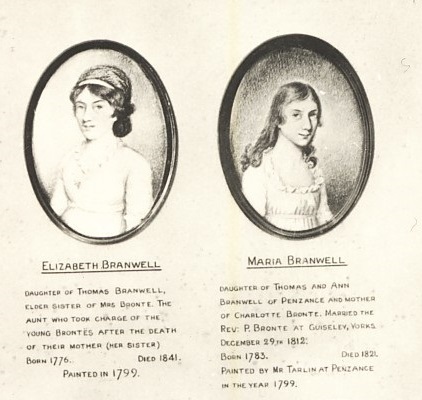 They are revelatory, fascinating, and give first hand accounts of Patrick and Branwell that show them rather differently to how they’re often portrayed, and we also see yet another now forgotten tale of Charlotte Brontë’s generosity. So, let’s no longer look through a glass darkly but instead find out more about Nancy Garrs. 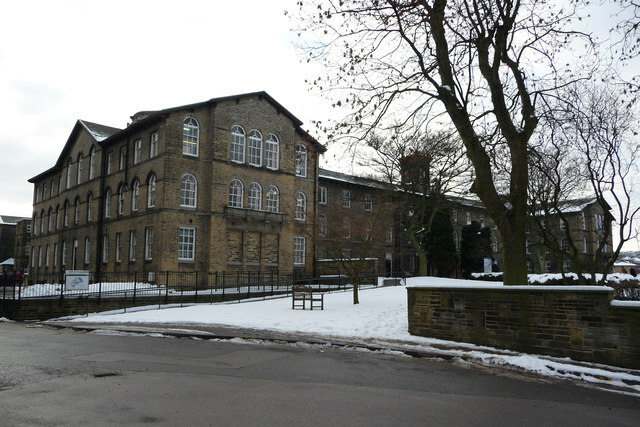 One other thing widely known about Nancy Garrs is that she attended the Bradford School of Industry, a school that trained girls from poorer families to become domestic servants. It may be thought, then, that she was from a very poor background, but in fact previously hidden 19th century reports show that this isn’t so – and, indeed, that she wasn’t called Nancy Garrs at all. 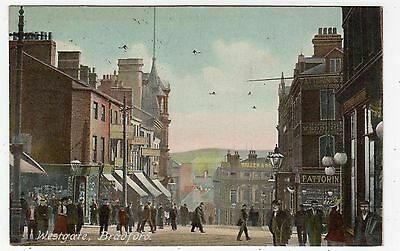 Nancy and Sarah were children of Richard Degarrs, who owned a shoemaker’s shop in Westgate, Bradford. Richard was himself the son of a French man, and the Bradford locals had trouble pronouncing his surname, so he became known as Dicky Garrs instead. Therefore, like a mirror image of the Bruntys becoming the Brontës, the cordwainer’s daughter Nancy Degarrs became Nancy Garrs. This story was noticed worldwide, and the New York Times ran a similar article saying that a fund should be raised for her. 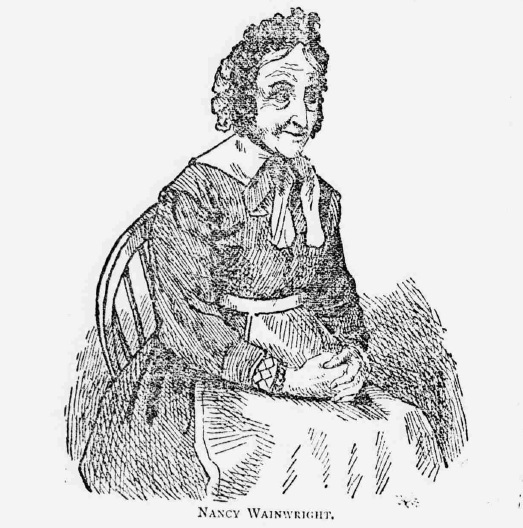 In fact, Nancy Malone as she was then (although for some reason she was known by her former known of Wainwright) received a number of offers of accommodation and help, but turned them all down because she enjoyed living in the workhouse. 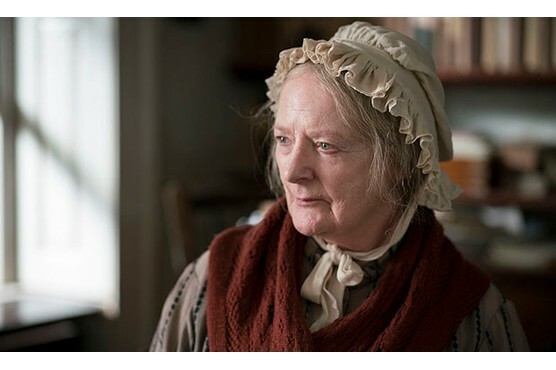 Nancy’s workhouse experience was not the same as most others met; she was given her own room, a comfortable life, good food and treated deferentially because of her Brontë connection, and was allowed to receive visitors who still came to see the former Brontë servant. The article then goes on to mention her sister Sarah who had emigrated to Crawfordsville, Iowa, and who had a son who was a doctor in the American army (Sarah died in 1899, aged 93), and that Nancy had a brother still living who was a master tradesman in Sheffield. As we shall see, he perhaps had another ambition. The article is long and fascinating with too many tales to relate here, but I am happy to send a PDF copy of it to anyone who emails me as I think it’s an article that deserves to be remembered. Let’s take a look at some highlights. Nancy was the chief mourner at Patrick’s funeral, alongside Arthur Bell Nicholls, and was by his side as he died. The Pall Mall Gazette says that the reverend presented her with a final gift, a roasting jack, on his deathbed. According to the Measuring Worth website that £5 has a purely inflationary value of £500 today but an actual income equivalent value of £5,317. A very generous gesture from the Earl (by the way if any modern Earls want to repeat the gesture I can let you have my address), a typically kind gesture from Charlotte, and another enlightening revelation from Nancy Garrs. Have a good day, and let’s all try to spread a little kindness ourselves.